The Property is shadow-anchored by the East Town Mall, an enclosed shopping mall that is currently being repositioned as a neighborhood center. Already as part of the transition, a previously vacant Cub Foods grocery store was subdivided into a three-tenant building which was quickly leased and occupied by Ross, Marshalls and PetSmart. Additional work is continuing today, and when complete, an impressive co-tenant roster for the Property will also include Kohl’s, Shopko, Aldi, McDonald’s, Noodles & Co., Sprint, Applebee’s, Fazoli’s, Qdoba and Perkins, among others. 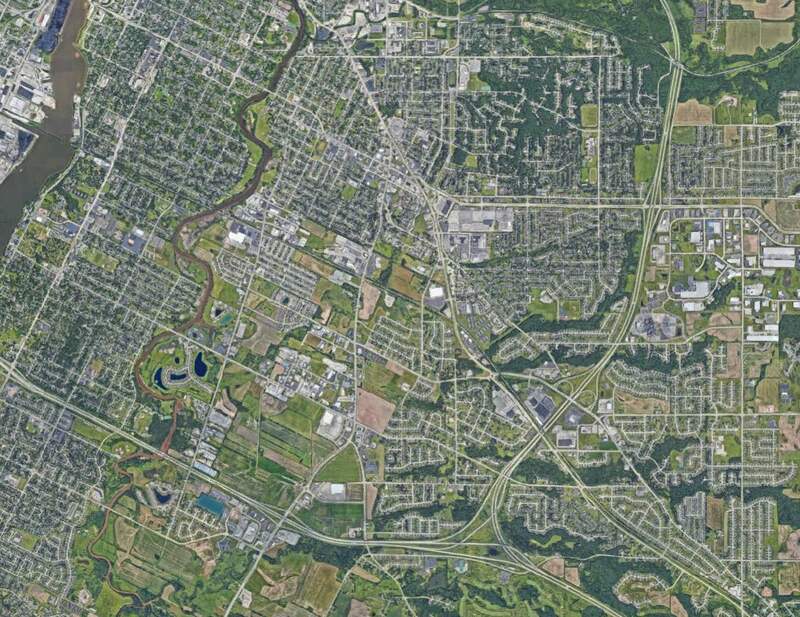 Green Bay is the 3rd-largest city in Wisconsin and continues to expand. 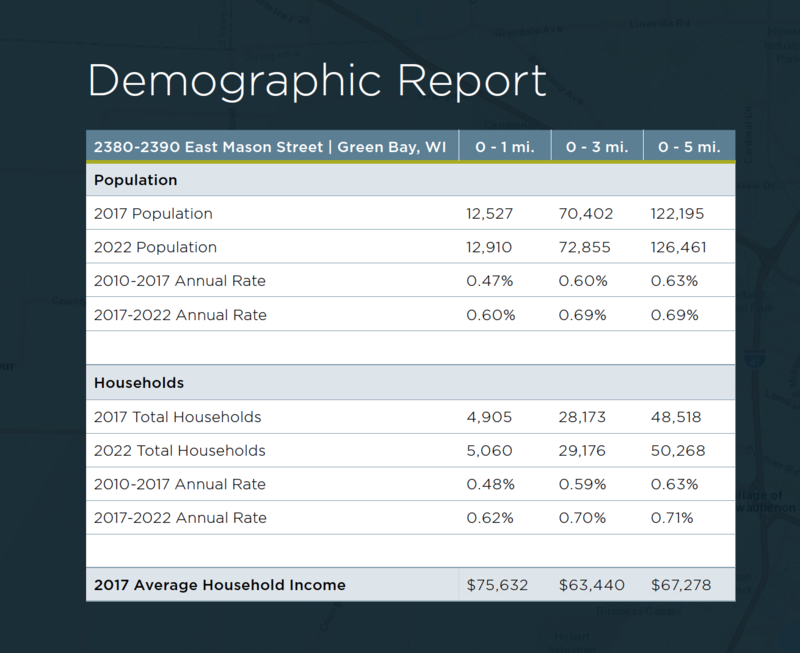 In fact, population levels have increased every decade since record keeping began in 1860, a trend that has made Green Bay the flagship city and economic hub of northeast Wisconsin. An NFL city home to the 13-time world champion Green Bay Packers, the city boasts an annual GDP of more than $16.3 billion.